The makers have now wrapped up the first schedule of shooting in Hyderabad and reportedly, 25% of the film is completed in this schedule. Mega Star Chiranjeevi is currently shooting for his upcoming film Sye Raa Narasimha Reddy which is the life-story of one of India’s first freedom fighter Uyyalawada Naraimsha Reddy. Directed by Surender Reddy, Sye Raa Narasimha Reddy is the most awaited for biopic in Tollywood in the upcoming season. 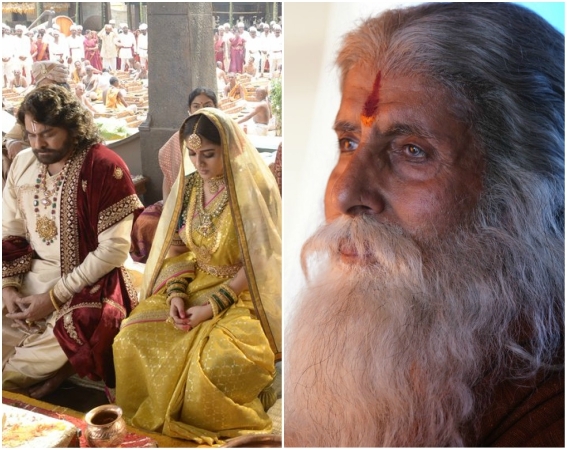 Besides Chiranjeevi, Sye Raa Narasimha Reddy has a heavy star cast and has actors from various other industries which includes Bollywood super star Amitabh Bachchan, Kannada top star Kiccha Sudeep, Tamil actor Vijay Sethupathi and Nayanthara. Tamannaah Bhatia too would be seen playing a pivotal role in the film which will be Chiranjeevi’s 151st movie. The makers have now wrapped up the first schedule of shooting in Hyderabad and reportedly, 25% of the film is completed in this schedule. Reports also reveal indicate that the makers will start the second leg of shooting from first week of June and look to can major scenes with most of the actors. The just wrapped up schedule had Amitabh Bachchan, Nayanthara and Chiranjeevi shooting their portions and the second leg may not have Amitrabh Bachchan since his portions have been shot. And according to latest reports, Tamannaah is all set to join the shooting sets of Sye Raa Narasimha Reddy which is currently being shot in Hyderabad. “She will start shooting from Thursday onwards at Rama Naidu Studios in Nanakramguda. She plays a crucial role in the film. The filmmakers selected Tamannah after watching her performance in Baahubali. In this film too, she will have an action-oriented role,” a report in Deccan Chronicle quoted a source recently.